Talks have stalled since a disastrous Hanoi summit. President Moon Jae-in will leave for Washington on Wednesday to meet with US President Donald Trump, as the allies seek ways to cooperate on North Korea issues, Seoul’s presidential office said Tuesday. “The summit is being held based on the shared perception that cooperation between the two countries is important in reviving the momentum for dialogue in the wake of the Hanoi summit,” Kim Hyun-chong, second deputy director of the National Security Office, said. According to Kim, Moon will meet with Trump as well as his top national security and foreign policy aides on Thursday. Moon will begin his visit by meeting US Secretary of State Mike Pompeo and national security adviser John Bolton, followed by a meeting with Vice President Mike Pence. The South Korean leader will then hold one-on-one and expanded summit meetings with Trump from around noon, Kim said. Moon will arrive back in Korea late Friday. The upcoming meeting, Moon’s seventh with Trump since taking office in May 2017, will be critical to Seoul’s vision of playing a facilitator role in US-North Korea talks. Since the second US-North Korea summit in Hanoi in February ended without any agreement, denuclearization talks have stalled, with Pyongyang taking actions that have put the future of the process in question. Satellite imagery has revealed that North Korea is reconstructing missile launch facilities, while the North’s Vice Foreign Minister Choe Son-hui has hinted that a major decision by leader Kim Jong-un is imminent. While the Hanoi summit has been seen by some observers as a failure, a high-level Cheong Wa Dae official said the meeting had clarified the requirements of the two countries. The official also said that as both North Korean leader Kim and Trump trust Moon, Seoul will have a role in reviving the US-North Korea dialogue. “President Moon Jae-in has the trust of North Korea and the US. After the US-North Korea summit was canceled in May last year, a one-point (inter-Korean) summit was held in Panmunjom and the US-North Korea summit was held on June 12,” the official said. 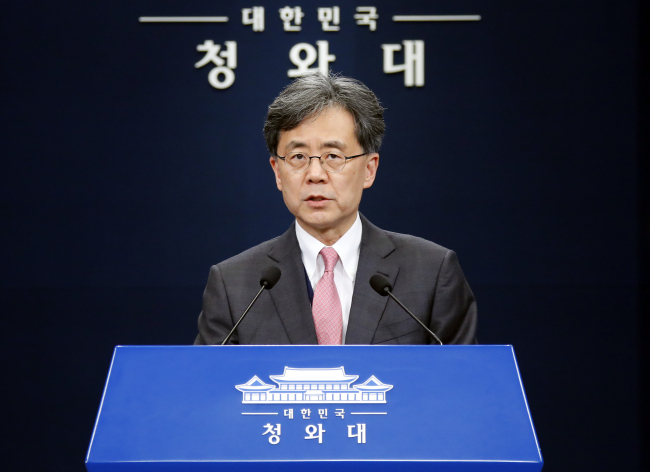 The official added that Seoul and Washington have the same goals for denuclearization.